K2.0’s latest Small Talk, “What do we want to know, and how?” was held last night (Wednesday, Dec. 14) in Dit’ e Nat.’ Panelists from the media, civil society and government led the discussion on how citizens can be more engaged in holding institutions to account. 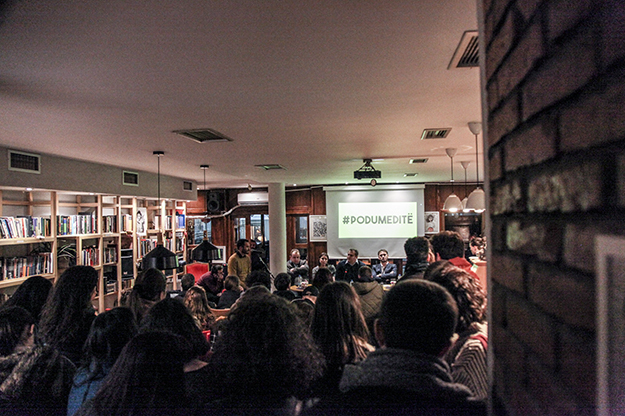 The event was part of K2.0’s #PoDuMeDitë (#IWantToKnow) campaign which aims to encourage citizens to participate more actively in decision making processes and to demand transparency by posting questions on social media. During the online phase of the campaign — between Oct. 17 and Nov. 26 — more than 150 questions were posted for public institutions on citizens’ social media accounts, using the hashtag #PoDuMeDitë. Many more statements were made using the hashtag, that did not include a specific question, while a video to launch the campaign has received more than 160,000 views on Facebook. Inquiries ranged from topics including public services such as electricity, trash, water, heating, public transport, road traffic and parking, and public space, to issues of justice, corruption, gender equality and health. Of all the questions posted, only three were answered by a public official, namely Mayor of Prishtina Shpend Ahmeti, Deputy Mayor of Prishtina Dardan Sejdiu and Deputy Minister of European Integration Ramadan Ilazi. Zeri’s editor-in-chief, Arbana Xharra, also answered a question regarding the Lego brick statue in the center of Prishtina. Other than a general lack of responsiveness to citizens’ questions by the responsible authorities in many of Kosovo’s institutions, the campaign has highlighted that some institutions still lack a proper presence on social media, some do not use their accounts and some public officials have personal profiles but not public pages. At last night’s discussion, the panelists agreed that there must be an effective system that obliges institutions to be transparent because otherwise there is not much that individuals can do. Panelist Arben Ahmeti, a journalist at Radio Dukagjini, hosts morning phone-in show “Complaints Office,” in which he contacts public institutions to get answers from citizen inquiries. For two years on his radio show, and more lately also on television, Ahmeti has received around twenty questions from citizens each morning, which he then directly forwards via a live phone call to the responsible individuals within municipalities or government ministries. Ahmeti said that a large proportion of callers’ questions relate to infrastructure such as the paving of roads, observing that citizens “experience the state as asphalt.” Other questions received in smaller amounts relate to health and social issues and public services. 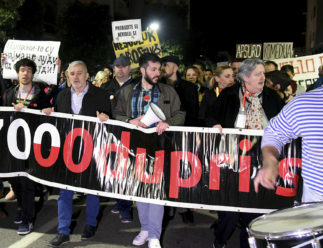 “Definitively it’s far easier to get a response from municipalities, but they differ from each other [in terms of transparency],” stated Ahmeti, explaining that the most transparent municipalities are the municipalities of Prishtina, Gjakova and Peja, with the Municipality of Prizren being the least transparent. The next panelist to speak was the director of the NGO Initiative for Progress (INPO), Albulena Nrecaj, who said that the mission of their organization is to promote democracy and the development of an open society. Nrecaj explained that INPO is focused on monitoring municipalities for adhering to the rule of law, transparency and accountability, with their main focus being on the municipalities of Ferizaj and Prishtina. She stated that their work has made them a place where other interest groups and media address them regarding specific issues of local governance, and a place where citizens make their complaints even before going to the municipality. Nrecaj said that the legal basis for transparency and keeping the public informed is quite well regulated, but the problems comes with implementation and distributing information of public interest. Although municipalities are obliged by law to publish certain information, including decisions taken by municipal assemblies and budget spendings, Nrecaj said that Kosovo does not currently have a very good level of transparency. 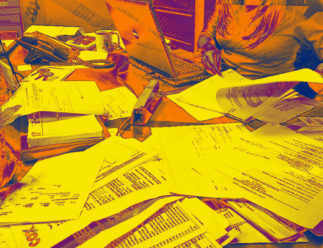 She suggested that to date, the Municipality of Gjakova has been the most transparent in terms of publishing information on its website, followed by the Municipality of Prishtina. "This is not only to do with those in positions of authority, it is also to do with citizens as well." “This is not only to do with those in positions of authority, it is also to do with citizens as well,” said Ahmeti talking about how transparency is demanded in Kosovo. “You said that the majority of questions in the #PoDuMeDitë campaign were for local issues, but I think it is different — they [the majority of demands] are for personal issues,” said Ahmeti. One way to achieve this, is by organizing public meetings such as those that have been held in Prishtina, said Ahmeti, who explained that at the beginning they were not popular and were only attended by 10 to 15 people, but now they are attended by more than 200 people. He suggested that these discussions are hard for politicians because no one comes there to give them praise for the work they’ve done, but people come there to complain and to air their frustrations. Another form of citizen engagement in Prishtina that Ahmeti highlighted is an online communication platform, where citizens can report, vote on and write about problems in their neighborhood, be that a pothole, garbage or a streetlamp not working. Minister of Labour and Social Welfare Arban Abrashi had been confirmed as one of the panelists, but he canceled on the day, citing unforeseen meetings with a German delegation, and was replaced instead by one of his political advisors, Fatmir Haxholli. Haxholli talked about the overall concepts of information and the triangle between government, the media and citizens. He was also critical about inner workings within ministries, suggesting that more work needed to be done with Media Liaison Officers in order to improve public relations. 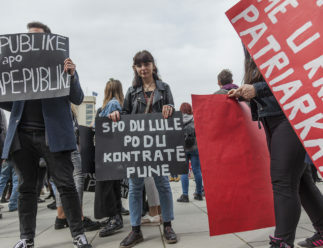 Haxholli noted that government officials are afraid that if they communicate with the public they will be attacked for it but praised the #PoDuMeDitë campaign, suggesting that it will raise the pressure for answers from institutions. K2.0’s journalist Eraldin Fazliu who was hosting the event, noted that so far the ministry Haxholli was representing had not answered any of the questions directed to it through the campaign, and requested that he ensured the relevant people at the ministry had received them. 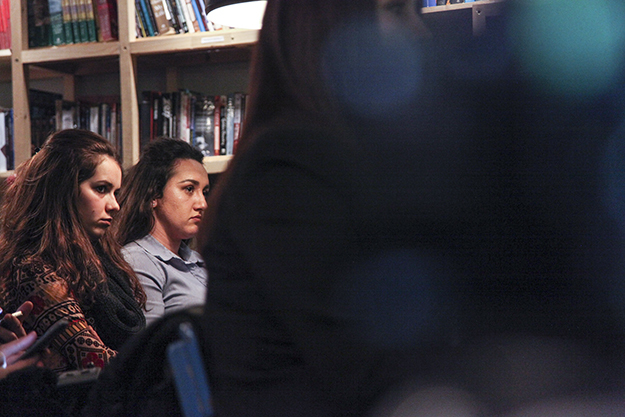 The final panelist was Faik Ispahiu, executive director of Internews Kosova and of Kallxo.com. He began by asking Haxholli how he can declare that his ministry is transparent when his organization has been pursuing them for almost a month regarding an issue related to pensions, and have been unable to get a response. Ispahiu said that 11 years ago when they started Jeta Xharra’s show “Jeta në Kosovë” (“Jeta/Life in Kosovo”), they had the same spirit, that they wanted to know. “We thought that with our work, our investigations, and our preparations we deserve time from each politician who is paid with public money, to give us answers,” said Ispahiu, before explaining that it did not take them long to conclude that this was not yielding results. He said that in the following years, this “I want to know” call changed into “I have the right to know” — a legal right. So their legal office started to demand access to public documents. He shared two experiences which he said were particularly insightful. “We recieved some information at Kallxo.com that [officials from] the office of Prime Minister Thaci [now president of Kosovo] had claimed some [suspicious] expenses with official credit cards when they went to Europe.” Based on the Law on Access to Public Documents they requested to have access to the relevant receipts, but were denied. So they sued them and the Office of the Prime Minister lost the trial. Afterwards the Office of the Prime Minister appealed and lost, but in the meantime the prime minister changed to Isa Mustafa. So the request continued to be denied and the law, including the court order, continued to be violated. Ispahiu said that an unofficial reason he had been given for not releasing these receipts was that, “‘If we give them to you, then others will start asking for them too.’” Ispahiu said that law enforcement officials should physically remove such officials from office for breaking the law and violating the court order. Another case was a request for the Kosovo Prosecutorial Council to publish the identity of prosecutors who have committed disciplinary infractions. Ispahiu explained that they had their right to receive this information confirmed in court, but that they are still waiting for these documents to be released. He concluded that while these cases have dragged on for three years, it was Kosovar citizens who must take the blame because they have elected these officials and will therefore have to endure them until the next elections, where he hoped that they would choose more wisely. 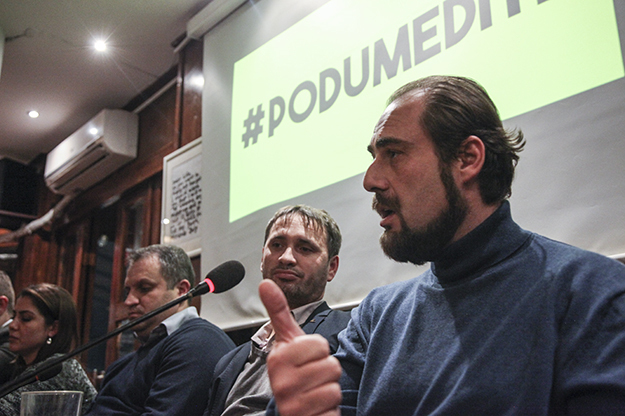 Before the floor was opened to the audience for a wider discussion, Fazliu explained that the next phase of the #PoDuMeDitë campaign is to chase up responses for the questions posted on social media by members of the public. K2.0 will also be investigating many of issues raised, and publishing a series of in-depth articles with the findings. 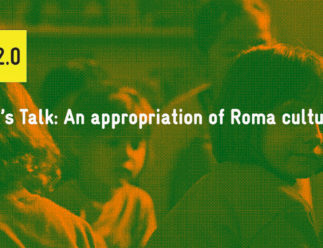 The Small Talk was streamed live on K2.0’s Facebook page and can we viewed here. 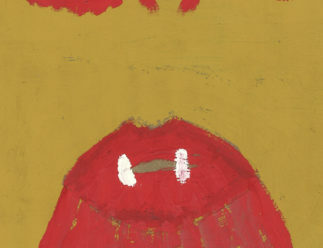 Images: Majlinda Hoxha / K2.0.